Traditionally millets have been used for both staple and snacks. Only recently the trend has changed. 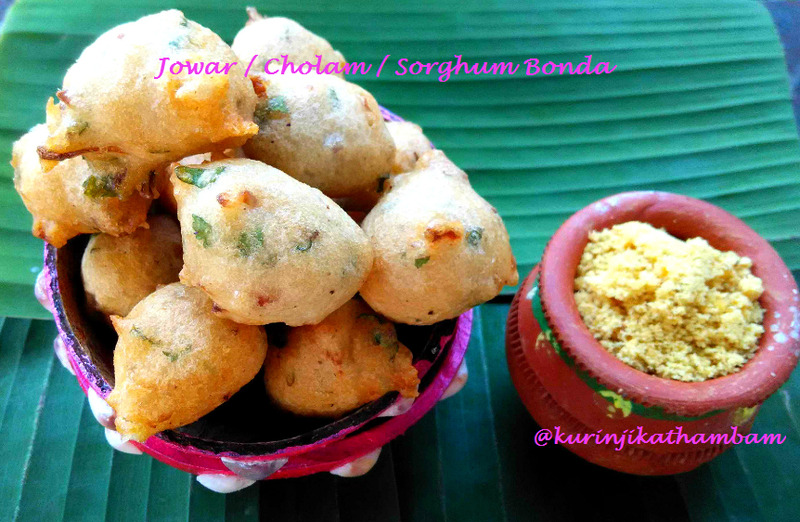 Chola Bonda is one such old millet recipe which had been prepared at villages for a long time. This is grandmother’s recipe who used to prepare this for us whenever I went to her house during my childhood. 1. Wash and soak the jowar and rice together for 5 -6 hours. Wash and soak the urad for 2 hours. 2. Grind the jowar and rice mixture into fine and thick paste using the mixer or grinder with little water. 3. We cannot grind it into very thick paste like chapathi dough. So spread the paste on the kitchen cloth and remove the excess water from it. 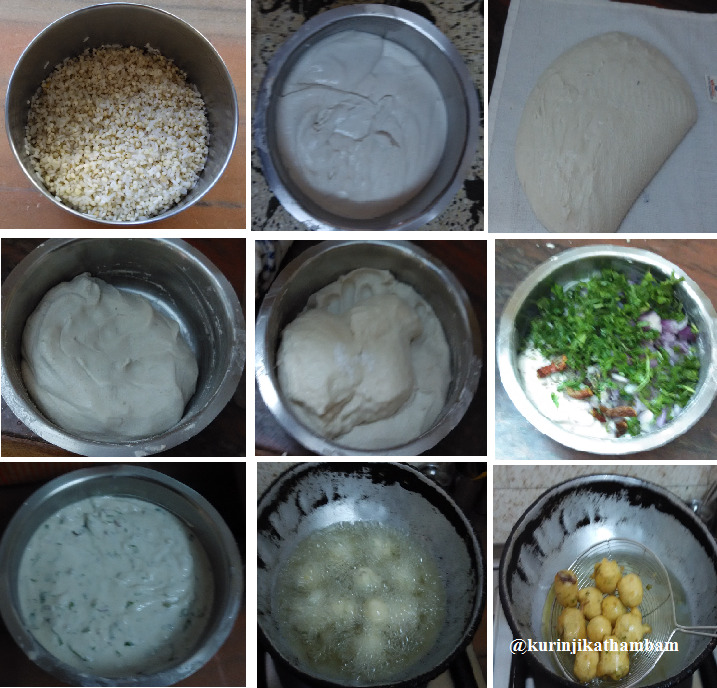 Now it becomes thick dough like chapathi dough. 4. Meanwhile, grind the urad dal into thick batter with little water, like urad dal vada consistency. 6. 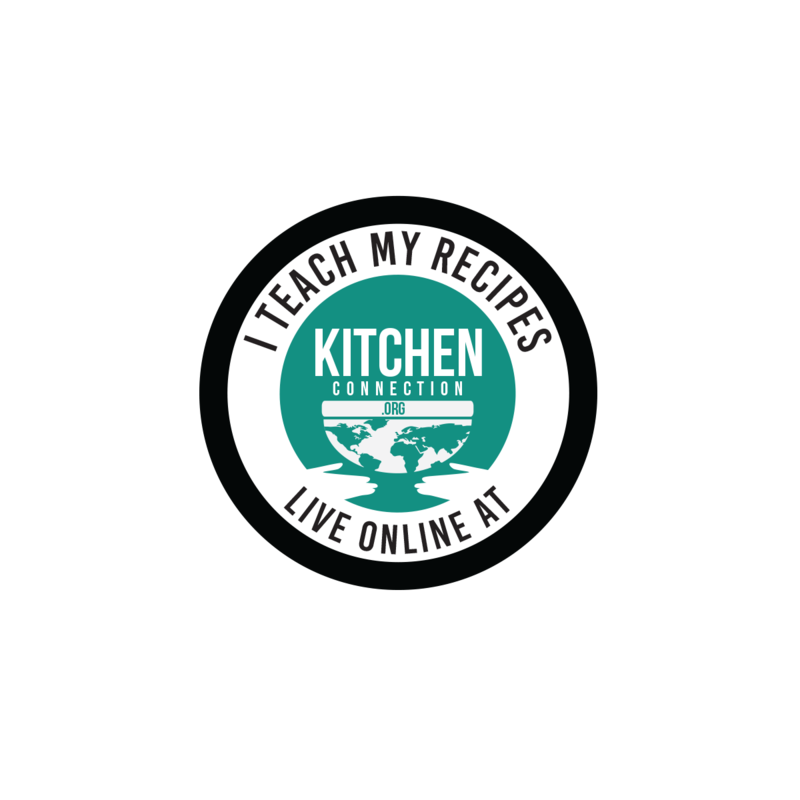 Then add the cumin seeds, chopped onion, chopped green chillies, chopped curry leaves and chopped coriander leaves. Mix them well and bonda batter is ready. 8. Fry them well on all sides till they become golden color and crisp. 9. Take it out from the oil and drain it completely. Keep it on the kitchen tissue to absorb the excess oil. Healthy and yummy evening tea time snack is ready to serve. 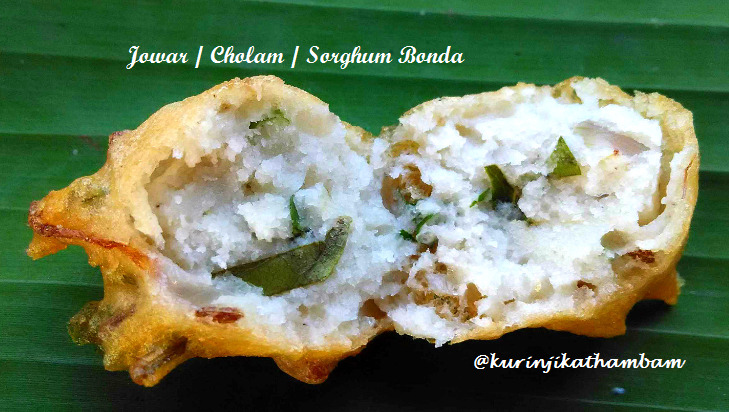 Serve it with nattu sakarai is the best combo for this bonda.